Doctor of Philosophy (Entomology) - University of London, London, UK, July 1982: A biometric, electrophoretic and karyotypic analysis of British species of Macrosiphum (Homoptera: Aphididae). 296 pp. Diploma of Imperial College (=Masters; Entomology) - Imperial College of Science & Technology, London, UK, June 1982: Insect Taxonomy. Bachelor of Science with Honors (Zoology/Botany) - University of Reading, Berkshire, UK, July 1976; Zoology with Botany subsidiary. 2004-2007, Associate Insect Biosystematist, California Department of Agriculture, Sacramento, California 95832, USA. 2003-2004, Book Editor part time, Entomology Department, The Natural History Museum, Cromwell Road, London SW7 5BD, UK. 2002-2003, Temporary Grants Administrator part time, location as above. 2001-2004, Entomology Support Officer/Technician part time, location as above. 2001-2002, Research Entomologist, Sternorrhyncha (Hemiptera) part time, location as above. 1986-2000, Taxonomic researcher, pest identifier and trainer, Sternorrhyncha (Hemiptera), CAB International Institute of Entomology/CABI Bioscience, location as above. 1982-1986, Biology and Zoology tutor, Mander Portman Woodward Ltd, London SW7, UK. 1981-1982, Entomological technician, Entomology Department, The Natural History Museum, London SW7 5BD, UK. 1979-1980, Private tutor in Biology, Mander Portman Woodward Ltd (a sixth form college), London SW7, UK. 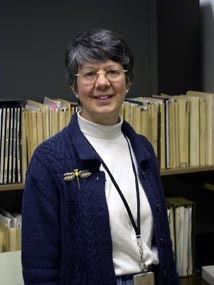 2003-2004, Book Editor of Williams, D.J. (2004) Mealybugs of southern Asia. Kuala Lumpur, Malaysia: Southdene SDN. BHD., vi, 896 pp. 2001, Referee for Proceedings volume for Ninth International Symposium of Scale Insect Studies: Bolletino di Zoologia Agraria e di Bachicoltura 33(3), special issue (published 2001). 1998-1999, Referee for Proceedings volume for Seventh International Symposium of Scale Insect Studies: Entomologica 33, special issue (published 2001). 1990, Book Editor of Williams, D.J. & G.W. Watson (1990) The scale insects of the tropical South Pacific region. Part 3. The soft scales (Coccidae) and other families. Wallingford, UK: CAB International, 267 pp. 1988, Book Editor of Williams, D.J. & G.W. Watson (1988b) The scale insects of the tropical South Pacific region. Part 2. The mealybugs (Pseudococcidae). Wallingford, UK: CAB International, 260 pp. 1987, Book Editor of Williams, D.J. & G.W. Watson (1988a) The scale insects of the tropical South Pacific region. Part 1. The armoured scales (Diaspididae). Wallingford, UK: CAB International, 290 pp. Williams, D.J. & G.W. WATSON (1988a) The scale insects of the tropical South Pacific region. Part 1. The armoured scales (Diaspididae). 290 pp. CAB International, Wallingford. Williams, D.J. & G.W. WATSON (1988b) The scale insects of the tropical South Pacific region. Part 2. The mealybugs (Pseudococcidae). 260 pp. CAB International, Wallingford. Williams, D.J. & G.W. WATSON (1990) The scale insects of the tropical South Pacific region. Part 3. The soft scales (Coccidae) and other families. 267 pp. CAB International, Wallingford. WATSON, G.W., Ooi, P.A.C. & D.J. Girling (1995) Insects on plants in the Maldives and their management. 128 pp. International Institute of Biological Control, Ascot, UK. WATSON, G.W. & L.R. Chandler (1999) Identification of mealybugs important in the Caribbean region. 40 pp. Wallingford, Oxon: Commonwealth Science Council and CAB INTERNATIONAL. WATSON, G.W. & L.R. Chandler (2000) Identificatión de las cochinillas o piojitos harinosos de importancia en el Caribe. Traducido por Marco Gaiani. 44 pp. Egham, Surrey, UK: CABI Bioscience. WATSON, G.W. & L.R. Chandler (2000) Identification of mealybugs important in the Caribbean region. Second edition (revised). 40 pp. Egham, Surrey, UK: CABI Bioscience. I have also been involved in verification of CPC datasheets on other species of scale insects and whiteflies over several years. G. WATSON helped to enter the scientific names, author names and publication dates from Bombycoidea, Cossoidea, Geometroidea and Noctuoidea cards in the NHM's systematic index card archive, into the Natural History Museum's LepIndex database: Beccaloni, G. W., Scoble, M. J., Robinson, G. S. & Pitkin, B. (Eds). 2003. The Global Lepidoptera Names Index (LepIndex). World Wide Web electronic publication. http://www.nhm.ac.uk/entomology/lepindex LepIndex contains a total of 290,099 Lepidoptera names. WATSON, G.W. (2004) Diaspididae. Fauna Europea database, on http://www.faunaeur.org. Peters, T. & G. WATSON (1999) The biological control of hibiscus mealybug in Grenada. Pp. 130-132. In Bell, K (Ed.) Paths to prosperity - science & technology in the Commonwealth 1999/2000, 240 pp. London, UK: Kensington Publications Ltd for the Commonwealth Secretariat. WATSON, G.W. (2001) Insect and other arthropod pests. Pp. 163-174. In Waller, J.M., Lenné, J.M. and S.J. Waller (Eds) Plant Pathologist’s Pocketbook. Third edition. Wallingford, Oxon: CABI Publishing. x, 516 pp. WATSON, G.W. & J.M. Cox (1990) Identity of the African coffee root mealybug, with descriptions of two new species of Planococcus (Homoptera: Pseudococcidae). Bulletin of Entomological Research 80, 99-105. Williams, D.J. & G.W. WATSON (1993) Aulacaspis (Homoptera: Diaspididae) on sugarcane and other Saccharum spp. (Gramineae). Bulletin of Entomological Research 83, 649-654. Blackman, R.L., WATSON, G.W. & Ready, P.D. (1995) The identity of the pine woolly aphid: a multidisciplinary approach. EPPO Bulletin 25, 337-341. Martin, J.H. & G.W. WATSON (1998) Aleurodicus pulvinatus (Maskell) (Homoptera: Aleyrodidae): its emergence as a pest of coconut in the Caribbean. Journal of Natural History 32: 85-98. WATSON, G.W., Voegtlin, D.J., Murphy, S.T. & R.G. Foottit (1999) Biogeography of the Cinara cupressi complex (Hemiptera: Aphididae) on Cupressaceae, with description of a pest species introduced into Africa. Bulletin of Entomological Research 89: 271-283. Mifsud, D. & G.W. WATSON (1999) Introduced sap-feeding insect pests of crop plants in the Maltese Islands. The Central Mediterranean Naturalist, Malta, 3(1): 29-34. Bogo, A., WATSON, G.W., Mantle, P.G. & Mottana, G.M. (2001) Honeydew sugars eliminated by Stigmacoccus sp. nr. asper Hempel (Hemiptera: Margarodidae) feeding on leguminous trees in Brazil. Special issue: Proceedings of the ISSIS VIII International Symposium on Scale Insect Studies. Entomologica 33 (1999): 275-278. Nucifora, S. & G.W. WATSON (2001) Armoured scale insects (Hemiptera: Coccoidea: Diaspididae) new to Sicily: records and observations. Special issue: Proceedings of the ISSIS VIII International Symposium on Scale Insect Studies. Entomologica 33 (1999): 207-211. Foldi, I. & WATSON, G.W. (2001) A new pest scale insect on avocado pear in Colombia, Laurencella colombiana sp. n. (Hemiptera: Coccoidea: Margarodidae). Annales de la Société entomologique de France (N.S. )37: 367-374. Miller, D.R., Miller, G.L. & WATSON, G.W. (2002) Invasive species of mealybugs (Hemiptera: Pseudococcidae) and their threat to U.S. agriculture. Proceedings of the Entomological Society of Washington104: 825-836. WATSON, G.W. & Foldi, I. (2002) The identity of red-striped soft scale on sugarcane in Egypt, Pulvinaria tenuivalvata (Newstead) (Hemiptera: Coccidae). Bulletin of the Entomological Society of Egypt(2001/2002)79: 37-42. WATSON, G.W. & Malumphy. C.P. (2004) Icerya purchasi Maskell, cottony cushion scale (Hemiptera: Margarodidae), causing damage to ornamental plants growing outdoors in London. British Journal of Entomology and Natural History 17(2): 105-109. WATSON, G.W. & Kubiriba, J. (2005) Identification of mealybugs (Hemiptera: Pseudococcidae) on banana and plantain in Africa. African Entomology 13(1): 35-47. Pasiecznik, N.M., Smith, I.M., WATSON, G.W., Brunt, A.A., Ritchie, B. & Charles, L.M.F. (2005) CABI/EPPO distribution maps of plant pests and plant diseases and their important role in plant quarantine. EPPO Bulletin 35: 1-7. Hodgson, C., Gamper, H., Bogo, A. & WATSON, G. (2007) A taxonomic review of the Margarodoid genus Stigmacoccus Hempel (Hemiptera: Sternorrhyncha: Coccoidea: Stigmacoccidae), with some details on their biology. Zootaxa 1507: 1-55. Nunes, E.S., Brown J.K., Moreira, A.G., WATSON, G., Lourenção, A.L., Piedade, S.M.S., Rezende, J.A.M., and M.L.C. Vieira (2008) First report and differential colonization of Passiflora species by the B Biotype of Bemisia tabaci (Gennadius) (Hemiptera: Aleyrodidae) in Brazil. Neotropical Entomology 37(6): 744-746. Evans, G.A., WATSON, G.W. & Miller, D.R. (2009) A new species of armored scale (Hemiptera: Coccoidea: Diaspididae) found on avocado fruit from Mexico. Zootaxa, 1991: 57-68. PDF available. Morse, J.G., Rugman-Jones, P.F., WATSON, G.W., Robinson, L.J., Bi, J.L. & Stouthamer, R. (2009) High levels of exotic armored scales on imported avocados raise concerns regarding USDA-APHIS’ phytosanitary risk assessment. Forum Article, Journal of Economic Entomology 102(3): 855-867. Muniappan, R., Shepard, B.M., WATSON, G.W., Carner, G.R., Sartiami, D., Rauf, A. & Hammig, M.D. (2009) First report of the papaya mealybug, Paracoccus marginatus (Hemiptera: Pseudococcidae), in Indonesia and India. Journal of Agricultural and Urban Entomology 25(1): 37-40. WATSON G.W. & El-Serwy S.A. (2009) Aspects of the biology, ecology and parasitism of Acanthomytilus sacchari (Hall) (Hemiptera: Diaspididae) on sugarcane in Egypt. Pp. 159-167 In: Branco M., Franco J.C. & Hodgson C. (eds) Proceedings of the XI International Symposium on Scale Insect Studies, Oeiras, Portugal, 24-77 September 2007. ISA Press, Lisbon, Portugal. 322 pp. Wang, Y., WATSON, G.W. & Zhang, R. (2010) The potential distribution of an invasive mealybug Phenacoccus solenopsis Tinsley (Hemiptera: Pseudococcidae), and its threat to cotton in Asia. Agricultural and Forest Entomology, 12(4): 403-416. PDF available. Galanihe, L.D., Jayasundera, M.U.P., Vithana, A., Asselaarachchi, N. & WATSON, G.W. (2011) Occurrence, distribution and control of papaya mealybug, Paracoccus marginatus (Hemiptera, Pseudococcidae), an invasive alien pest in Sri Lanka. Tropical Agricultural Research & Extension 13(3) (2010): 81-86. PDF available. Muniappan, R., Shepard, B.M., WATSON, G.W., Carner, G.R., Rauf, A., Sartiami, D., Hidayat, P., Afun, J.V.K., Goergen, G. and Ziaur Rahman, A.K.M. (2011) New records of invasive insects (Hemiptera: Sternorrhyncha) in southern Asia and West Africa. Journal of Urban and Agricultural Entomology, 26(4) (2009): 167-174. PDF available. Mifsud, D., Mangion, M., Azzopardi, E., Espadaler, X., Cuesta-Segura, D., WATSON, G.W. & Pérez Hidalgo, N. (2011) Aphids associated with shrubs, herbaceous plants and crops in Malta (Hemiptera: Aphidoidea). Bulletin of the Entomological Society of Malta, 4: 5-53. PDF available. Muniappan, R., WATSON, G.W., Evans, G.A., Rauf, A., and von Ellenrieder, N. (2012) Cycad aulacaspis scale, a newly introduced insect pest in Indonesia. HAYATI Journal of Biosciences 19(3): 110-114. PDF available. Sirisena, U.G.A.I., WATSON, G.W., Hemachandra, K.S. & Wijayagunasekara, H.N.P. (2012) Mealybugs (Hemiptera: Pseudococcidae) introduced recently to Sri Lanka, with three new country records. The Pan-Pacific Entomologist, 88(3): 365-367. Cave, R.D., Chao, J-T., Kumashiro, B., Marler, T., Miles, J., Moore, A., Muniappan, R., and WATSON, G.W. (2013) Status and biological control of Cycad Aulacaspis Scale. Biocontrol News and Information, 34(1): 1N-4N. Galanihe, L.D. & WATSON, G.W. (2013 (2012)) Identification of Rastrococcus rubellus Williams (Hemiptera: Pseudococcidae) on mango: a new record to Sri Lanka. Tropical Agricultural Research & Extension, 15(2): 7-10. Mekuria, T.A., Smith, T.J., Beers, E., WATSON, G.W. and Eastwell, K.C. (2013) First report of transmission of Little Cherry Virus 2 to sweet cherry by Pseudococcus maritimus (Ehrhorn) (Hemiptera: Pseudococcidae). Disease Note. Plant Disease, 97(6): 851. PDF available. Sirisena, U.G.A.I., WATSON, G.W., Hemachandra, K.S. & Wijayagunasekara, H.N.P. (2013) A modified technique for the preparation of specimens of Sternorrhyncha for taxonomic studies. Tropical Agricultural Research Journal, 24(2): 139-149. PDF available. Sirisena, U.G.A.I., WATSON, G.W., Hemachandra, K.S. & Wijayagunasekara, H.N.P. (2013) Mealybugs (Hemiptera: Pseudococcidae) species on economically important fruit crops in Sri Lanka. Tropical Agricultural Research Journal, 25(1): 69-83. PDF available. Mifsud, D., Mazzeo, G., Russo, A. & WATSON, G.W. (2014) The scale insects (Hemiptera: Coccoidea) of the Maltese Archipelago (Central Mediterranean). Zootaxa, 3866(4): 499-525. Moore, A., WATSON, G.W. & Bamba, J. (2014) First record of eggplant mealybug, Coccidohystrix insolita (Hemiptera: Pseudococcidae), on Guam: potentially a major pest. Biodiversity Data Journal, 2: e1042. doi: 10.3897/BDJ.2.e1042. PDF available. N’Guessan, W.P., WATSON, G.W., Brown, J. & N’Guessan, K.F. (2014) First record of Pseudococcus jackbeardsleyi (Hemiptera: Pseudococcidae) from Africa, Côte d’Ivoire. Florida Entomologist, 97(4): 1690-1693. WATSON, G.W. & Marler, T.E. (2014) Does cycad aulacaspis scale (Aulacaspis yasumatsui Takagi, Hemiptera: Diaspididae) play a direct role in causing soil phytotoxicity? Article addendum. Communicative & Integrative Biology, 7(1): e27881. Available online. WATSON, G.W., Adalla, C.B., Shepard, B.M. & Carner, G.R. (2014) Aspidiotus rigidus Reyne (Hemiptera: Diaspididae), a devastating pest of coconut in the Philippines. Agricultural and Forest Entomology. 8 pp. DOI: 10.1111/afe.12074. Early view available online. WATSON, G.W., Muniappan, R, Shepard, B.M., Sembel, D., Rauf, A., Carner, G.R. & Benson, E.P. (2014) Sap-sucking insect records (Hemiptera: Sternorrhyncha and Thysanoptera: Thripidae) from Indonesia. Florida Entomologist, 97(4): 1594-1597. Zhao, J., WATSON, G.W., Sun, Y., Tan, Y, Xiao, L. & Bai, L. (2014) Phenotypic variation and identification of Phenacoccus solenopsis Tinsley (Hemiptera: Pseudococcidae) in China. Zootaxa, 3802(1): 109-121. Preview available online. Kondo, T., P.J. Gullan, G.W. WATSON, A.E. Bustillo Pardey & L.G. Montese. (2015) New distribution and host records for white coconut scale, Parlagena bennetti Williams (Hemiptera: Diaspididae). Insecta Mundi 0422: 1-6. Available online. Sirisena, U.G.A.I., WATSON, G.W., Hemachandra, K.S., Sage, O. & Wijayagunasekara, H.N.P. (2015) Scanning electron microscopy of six selected mealybug (Hemiptera: Pseudococcidae) species of Sri Lanka. Tropical Agricultural Research Journal, 26(2): 237-247. Sartiami, D., Mohamad Roff M.N., WATSON, G.W., Ubaidillah, R., Mohd. Hanifah Y., & Idris, A.B. (2015) First record of cassava mealybug, Phenacoccus manihoti, in Malaysia. Zootaxa, 3957(2): 235-238. WATSON, G.W. (2015) A synonymy in the armoured scale insect genus Unaspis MacGillivray (Hemiptera: Diaspididae). Zootaxa, 3980(3): 450. WATSON, G.W. (2015) Unaspis lansivora sp. n. (Hemiptera: Diaspididae), a new pest of Lansium domesticum (Meliaceae), and a key to Unaspis species. Zootaxa 3905(3): 432-440. WATSON, G.W., Williams, D.J. & Miller, D.R. (2015) The identity and distribution of Fiorinia phantasma (Cockerell & Robinson) (Hemiptera: Coccomorpha: Diaspididae), with a new synonym. Zootaxa, 4048(2): 291-300. Chatzidimitriou, E., M. Simonato, G.W. WATSON, I. Martinez-Sañudo, H. Tanaka, J. Zhao & G. Pellizzari. 2016. Are Phenacoccus solani Ferris and P. defectus Ferris (Hemiptera: Pseudococcidae) distinct species? Zootaxa 4093(4), 539–551. von Ellenrieder, N., G.W. WATSON, S. Kinnee, J.C. Franco & G. Mazzeo. 2016. Paracoccus leucadendri Mazzeo & Franco in Mazzeo, Franco & Russo, 2009, a junior synonym of Phenacoccus hakeae Williams, 1985 (Coccomorpha: Pseudococcidae). Zootaxa 4093 (4): 552–558. von Ellenrieder, N. & G.W. WATSON. 2016. A new mealybug in the genus Pseudococcus Westwood (Hemiptera: Coccomorpha: Pseudococcidae) from North America, with a key to species of Pseudococcus from the New World. Zootaxa 4105 (1): 65-87. Blackman, R.L.B., Brown, P.A., Furk, C., Seccombe, A.D. & G.W. WATSON (1989) Enzyme differences within species groups containing pest aphids. Pp. 271-295 in Loxdale, H.D. & den Hollander, J. (Eds) "Electrophoretic studies on Agricultural Pests" Systematics Association Special Volume No. 39. Clarendon Press, Oxford. Carter, C.I. & G.W. WATSON (1991) The ecology of conifer aphids and its bearing on forest establishment and productivity. Pp. 23-32. In Ciesla, W.M. [Ed.] Exotic aphid pests of conifers: a crisis in African forestry. Workshop Proceedings. Food and Agriculture Organisation of the United Nations, Rome. 160 pp. Miller, D.R. & G.W. WATSON (1995) Douglas J. Williams, the modern guru of coccidology. Israel Journal of Entomology 2: 1-4. WATSON, G.W. (1996) Pine woolly aphid (Homoptera: Adelgidae) in Africa: where did it come from? Pp. 97 - 100. In Walters, K.F.A. & Kidd, N.A.C. [Eds] Populations and patterns in biology IPPP, Silwood Park, Ascot. 115 pp. WATSON, G.W. (1997) The role of taxonomy in biological control. pp. 1-6 in: Syarif Hidayat, Sadeli Natasasmita, Entun Santosa, Sumeno, Delon Suwantaputra, Tohidin, Sudarjat, Bey Permadi, M. Suhunan Sianipar, Nenet Susniahti, Elly Rosmaria (Eds). Pros. Kongres Perhimpunan Entomologi Indonesia V dan Simposium Entomologi: Pengelolaan Serangga Secara Berkelanjutan, Bandung, 24-26 Juni 1997. Perhimpunan Entomologi Indonesia in collaboration with Universitas Padjadjaran. xiii, 397 pp. (plenary paper). WATSON, G.W. (2000) Storage of insect microscope slide mounts. Pp. 224--225 in Jones, T. & Gallagher, S. (Eds) Proceedings of the second BioNET-INTERNATIONAL global workshop (BIGW2), 22-29 August 1999. 344 pp. Aberystwyth, UK: Cambrian Printers. WATSON, G.W. (2002) A pictorial key to important Diaspididae (Homoptera: Coccoidea) of the world. Bollettino di Zoologia agraria e Bachicoltura 33(3): 175-178. Miller, G.L., Miller, D.R. and WATSON, G.W. (2002) Mealybug invasions, a threat to plants everywhere. (Poster). Bollettino di Zoologia agraria e Bachicoltura, 33(3): 507. Rugman-Jones, P.F., Stouthamer, R., WATSON, G.W. and J.G. Morse (2007) Genetic studies with armored scales (Hemiptera: Diaspidae) and Aphytis spp. (Hymenoptera: Aphelinidae) on avocados from various areas of the world. Poster presentation by the senior author at VI World Avocado Congress, 12-16 November 2007, Vina del Mar, Chile. Hidayat, P. & WATSON, G.W. (2008) Recognition of giant whitefly, Aleurodicus dugesii Cockerell (Hemiptera: Aleyrodidae), a potential pest newly introduced to Indonesia. Presented by the senior author at a local meeting of the Entomological Society of Indonesia at Bogor, Western Java, Indonesia, 20 March 2008. WATSON, G.W. & El-Serwy S.A. (2009) Aspects of the biology, ecology and parasitism of Acanthomytilus sacchari (Hall) (Hemiptera: Diaspididae) on sugarcane in Egypt. pp. 159-167 in: Branco M., Franco J.C. & Hodgson C. (Eds) Proceedings of the XI International Symposium on Scale Insect Studies, Oeiras, Portugal, 24-77 September 2007. ISA Press, Lisbon, Portugal. 322 pp. Godfrey, K., Gill, R., WATSON, G. & Daane, K. (2005) Vine mealybug distribution and biological control. p. 16 in: Woods, D.M. (Ed.) Biological Control Program Annual Summary, 2004. California Department of Food and Agriculture, Plant Health and Pest Prevention Services, Sacramento, California: 42 pp. Godfrey, K., WATSON, G. & Daane, K. (2006) Vine mealybug distribution and biological control. p. 13 in: Woods, D.M. (Ed.) Biological Control Program Annual Summary, 2005. California Department of Food and Agriculture, Plant Health and Pest Prevention Services, Sacramento, California: 60 pp. Godfrey, K., WATSON, G.W., Gill, R.J. and Mendel, Z. (2009) Biological control of the solanum mealybug, a cooperative project with Israel. p. 37 in: Woods, D.M. (Ed. ), Biological Control Program 2008 Annual Summary, California Department of Food and Agriculture, Plant Health and Pest Prevention Services, Sacramento, California. 69 pp. WATSON, G.W. (1990) Review of Armoured scale insects: their biology, natural enemies and control. Part 1. The armoured scale insects. World Crop Pests, 4A. Edited by David Rosen. Series Editor-in-Chief W. Helle. Bulletin of Entomological Research 80: 488-489. WATSON, G.W. (1990) Review of Scale insects of Central Europe by M. Kosztarab and F. Kozár. The Journal of Animal Ecology 59: 798. WATSON, G.W. (1994) Review of Mealybugs of Central and South America by D.J. Williams and M.C. Granara de Willink. Journal of Natural History 28: 249-250. WATSON, G.W. (1999) Review of Soft scale insects; their biology, natural enemies and control. World Crop Pests, 7A. Edited by Y. Ben-Dov and C.J. Hodgson. Series Editor-in-Chief M.W. Sabelis. Bulletin of Entomological Research 89: 285-286. WATSON, G.W. (2002) Review of A systematic catalogue of the Eriococcidae (felt scales) (Hemiptera: Coccoidea) of the world by D.R. Miller & M.E. Gimpel. Bulletin of Entomological Research 92: 548-549. WATSON, G.W. (2002) Review of Insect pests of agriculture in Papua New Guinea. Part 1. Principles and practice, pests of tree crops and stored products by R. Kumar. Bulletin of Entomological Research 92: 549. WATSON, G.W. (1982) A biometric, electrophoretic and karyotypic analysis of British species of Macrosiphum (Homoptera: Aphididae). University of London, Ph.D. thesis: 296 pp. WATSON, G.W. (1992) Course review report, third East African training course on insect identification for agriculture and forestry, National Museums of Kenya, 9 - 28 November 1992. Insect identification course KEN/1002/3. Overseas Development Administration / The British Council: 5 pp. WATSON, G.W. & Eastop, V.F. (1993) Consultancy report. Aphid identification course,National Plant Breeding Research Centre, Njoro, Kenya, 2-27 August 1993. Overseas Development Administration / The British Council: 27 pp. WATSON, G.W. & Ooi, P.A.C. (1993) A survey of Homopteran pests of crops, ornamentals and natural vegetation in the Maldives. FAO Maldives Biological pest Control Project, TCP/MDV/2355. Unpublished report: 21 pp. WATSON, G.W. & Ismay, J.W. (1994) Strengthening of plant quarantine capabilities, Malta. FAO Report TCP/MAT/2351. Unpublished report. CAB International Institute of Entomology, London, UK: 17 pp. WATSON, G.W. (1994) Final report on teaching consultancy carried out by International Institute of Entomology. Tanzania in-country training course on identification of insects of agricultural importance, held at Sokoine Agricultural University, Morogoro, Tanzania, 1-25 August 1994. Unpublished report. CAB International Institute of Entomology, London, UK: 31 pp. WATSON, G.W. (1995) Biological control of pink hibiscus mealybug in Grenada. Progress assessment, September 11-12, 1995. Consultant’s report for TCP/STK/4551. Ministry of Agriculture, Grenada. Unpublished report: 6 pp. WATSON, G.W. (1995) Strengthening of biological control, Maldives. Consultant’s report. FAO project TCP/MDV/2355. Food and Agriculture Organization of the United Nations, Rome. Unpublished report: 26 pp. WATSON, G.W. (1996) Identification of coconut insects from a survey of Nevis, 7-17 November 1995, TCP/STK/4551, consultant’s report. Ministry of Agriculture, Nevis, unpublished report. CAB International Institute of Entomology, London, UK: 11 pp. WATSON, G.W. (1997) Report on a visiting scholarship to Institut Pertanian Bogor, Faculty of Agriculture, Department of Pests and Diseases, Center for Integrated Pest Management, 21 June – 21 July 1997. Funded by the Venter Grant Program, University Research for Graduate Education, World Bank Project, through the Directorate General for Higher Education, Indonesia. Unpublished report. CAB International Institute of Entomology, London, UK: 24 pp. WATSON, G.W. (1997) Report on a CARINET workshop on the identification of mealybugs of the Caribbean and Latin America, at the Caribbean Epidemiological Centre, Port of Spain, Trinidad, 14-23 October 1997, funded by The Commonwealth Science Council. Unpublished report. CAB International Institute of Entomology, London, UK: 22 pp. WATSON, G.W. (1997) Project completion report, CABI Partnership Facility Project no. XD855/DP2/AOO. A training course on whiteflies, aphids, psyllids and their natural enemies, held at the University of the Philippines at Los Banos, November 26-29, 1996. Unpublished report. CAB International Institute of Entomology, London, UK: 9 pp. WATSON, G.W. (1997) Whiteflies and their natural enemies, a training course staged 1-7 December 1996 at CSIRO Canberra, Australia. Funded by Commonwealth Scientific and Industrial Research Organization, Canberra, Australia; CAB International Institute of Entomology, London, UK; and The Natural History Museum, London, UK. Unpublished report. CAB International Institute of Entomology, London, UK: 5 pp. Bogo, A., WATSON, G.W. & Mantle, P.G. (1998). The sugar composition of honeydew excreted by Stigmacoccus ?asper Hempel (Coccoidea: Margarodidae: Xylococcinae) feeding on leguminous trees in Brazil. p. 13. In: Abstracts, VIIIth International Symposium on Scale Insect Studies: 41 pp. WATSON, G.W. (1999) Report on a workshop on the identification of whiteflies and mealybugs of the Caribbean region, Mt Hope, Trinidad, 27 April – 6 May, 1999; co-ordinated by CARINET, a sub-regional LOOP of BioNET-INTERNATIONAL and funded by The Commonwealth Science Council. Unpublished report. CABI Bioscience, c/o Entomology Department, The Natural History Museum, London: 17 pp. WATSON, G.W. (2000) Report on first Central American course on mealybug taxonomy and identification of pink hibiscus mealybug (Maconellicoccus hirsutus), at St John’s Sixth-form College, Belize City, Belize, 13-18 March 2000, commissioned by Organismo Internacional Regional de Sanidad Agropecuaria. Unpublished report. CABI Bioscience, c/o The Natural History Museum, London, UK: 15 pp. WATSON, G.W. (2000) Report on a training course on taxonomy, biology and ecology of whiteflies of agricultural importance, held at the Institute of Biological Sciences, University of Malaya, Kuala Lumpur, Malaysia, 25-29 September, 2000. Unpublished report. CABI Bioscience, c/o The Natural History Museum, London, UK: 17 pp. WATSON, G.W. (2003) Consultant’s report to [FAO] Regional Office for Asia and the Pacific. India 15-29 August, 2003. Project GCP/RAS/164/EC FAO-EU IPM Programme for Cotton in Asia. Unpublished report: 2 pp. and 6 annexes. WATSON, G.W. (2003) Consultant’s report to [FAO] Regional Office for Asia and the Pacific. Bangladesh 1-15 November 2003. Project GCP/RAS/164/EC FAO-EU IPM Programme for Cotton in Asia. Unpublished report: 2 pp. and 5 annexes. WATSON, G.W. (2007) Resource person’s summary report on the Workshop Evaluation Questionnaire. APEC Re-entry workshop on capacity building in surveillance and diagnosis of whiteflies and mealybugs in developing apec economies for improved market access, Universiti Malaya, Kuala Lumpur, Malaysia, 16-26 April 2007. Asia Pacific Economic Community, Singapore: 18 pp. 2005-2007 The taxonomy of the whitefly genus Bemisia. Co-investigator in a multi-disciplinary project: principal investigators are Prof. Judy Brown (University of Arizona) and Prof. George Roderick (University of California, Berkeley). 1999-2001 Preparation of the CD-ROM “Arthropods of economic importance: Diaspididae of the world. An illustrated identification guide and information source” for the Expert Center for Taxonomic Identification, World Biodiversity Database. Funded by the Netherlands Government and CAB International. See Publications section for details. 1998-1999 Investigation of the identity and possible origin of Cypress Aphid in Africa (Canadian International Development Agency-funded, as part of the African Conifer Aphid Control Programme conducted by CAB International Institute of Biological Control (IIBC) (principal investigator: Dr Sean Murphy). See Publications section for paper. 1991-1992 Investigation of the identity and possible origin of Pine Woolly Aphid in Africa (Overseas Development Administration (ODA) funded; team of 6 staff in 3 institutions (The Natural History Museum, London; Ministry of Agriculture, Fisheries and Food (Forestry); CAB International Institute of Entomology). Principal investigator: G. Watson (IIE). See Publications section for papers. 1976-1979 Postgraduate Studentship, Potato Marketing Board, UK. PhD Systematic Entomology, University of London, London, UK. Thesis (1982): A biometric, electrophoretic and karyotypic analysis of British species of Macrosiphum (Homoptera: Aphididae). 296 pp. Nov. 2003, Organization and delivery of the United Nations Food and Agriculture Organization’s (FAO) Identification of Insects in Cotton Fields course in Bangladesh, to train trainers of IPM facilitators. This was carried out as an entomological training consultant for FAO / European Union (EU) IPM on Cotton in Asia Program, 7 days. Class size: 17. Aug. 2003, Organization and delivery of the FAO Identification of Insects in Cotton Fields course (delivered twice) at Hyderabad, India, to train trainers of IPM facilitators. This was carried out as an entomological training consultant for FAO / EU IPM on Cotton in Asia Program, 19 days. Class sizes: 9 and 27. Nov/Dec. 1995, Organization and delivery of the FAO Maldives Pest Insect and Natural Enemy Workshop theory (4 days in Male'), and practical field training (8 days on the island of Thoddoo). This was carried out as an entomological training consultant on United Nations Food and Agriculture (FAO) Maldives Strengthening of Biological Pest Control TCP/MDV/2355. Class size: 14. Nov. 1995, Entomological consultant on FAO Biological Control of Coconut Pests in Nevis on TCP/STK/4551, 7-17 November 1995, Surveyed main foliar pests of coconut and their natural enemies, and trained an extension officer in appropriate collecting and rearing methods; 5 days. Sept. 1995, Entomological consultant on FAO Pink Mealybug Biological Control in Grenada TCP/GRN/4553. Assessed progress of program and advised on baseline survey and insect rearing facilities and methods; 1 day. March 1994, Entomological Consultant on FAO Malta Plant Quarantine Strengthening Programme TCP/MAT/2351. Conducted crop pest survey and associated identifications, and made recommendations on quarantine schedules; 6 days. Nov. 1993, Entomological consultant on FAO Maldives Strengthening of Biological Pest Control TCP/MDV/2355 (T). Conducted crop pest survey (18 days) and associated identifications and training; senior author of book on pest insects of the Maldives and their natural enemies. April 2007, Co-coordination and delivery of the Asia Pacific Economic Community (APEC) Re-entry Workshop on capacity Building in Surveillance and Diagnosis for Whiteflies and Mealybugs in Developing APEC Economies for Improved Market Access. Universiti Malaya, Kuala Lumpur, Malaysia, for 10 days. APEC funded. Class size: 32. March 2006, Co-coordination and delivery of the Western Plant Diagnostic Network (WPDN) “Homoptera” Workshop, University of California at Davis, California, USA, for 4 days. Federally funded. Class size: 30. Jan. 2006, Co-coordination and delivery of the WPDN Workshop on Slidemaking for identification purposes, University of Hawaii at Manoa, Honolulu, USA, for 2 days. Federally funded. Class size: 18. Nov. 2003, Organization and delivery of the FAO Identification of Insects in Cotton Fields course in Bangladesh. This was carried out as an entomological training consultant on United Nations Food and Agriculture (FAO) 7 days. Class size: 17. Aug. 2003, Organization and delivery of the FAO Identification of Insects in Cotton Fields course (delivered twice) at Hyderabad, India. This was carried out as an entomological training consultant on United Nations Food and Agriculture (FAO) 19 days. Class sizes: 9 and 27. Nov. 2001, Taught Hemiptera and Thysanoptera on: Training on Identification of Pests of Phytosanitary Significance and Pest Risk Analysis in Eastern Africa, National Museums of Kenya, Nairobi, Kenya, 22-23 November; funded by United Nations Food and Agriculture Organization (FAO). Sept. 2000, Co-organized and delivered a Training Course on Taxonomy, Biology and Ecology of Whiteflies of Agricultural Importance at the University of Malaya, Kuala Lumpur, Malaysia, 25-29 September; funded by the Malaysian Ministry of Science, Technology and the Environment. March 2000, Co-organized and delivered the First Central American Course on Mealybug Taxonomy and Identification of Pink Hibiscus Mealybug, Belize City, Belize, 13-18 March; funded by Organismo Internacional Regional de Sanidad Agropecuaria and United States Department of Agriculture (contact Dr Dale E. Meyerdirk, e-mail Dale.E.Meyerdirk@usda.gov); locally co-ordinated by Belize Ministry of Fisheries and Agriculture. April/May 1999, Co-organized and delivered a Regional Workshop on Mealybug and Whitefly Identification, Mount Hope, Trinidad, 26 April – 6 May; funded by the Commonwealth Science Council, locally co-ordinated by CARINET. Oct. 1997, Co-organized and delivered a Regional Workshop on Mealybug Identification, with special reference to Hibiscus Mealybug, Port of Spain, Trinidad, 14-23 October; funded by the Commonwealth Science Council, locally co-ordinated by CARINET. June/July 1997, Co-organized and delivered a one-week Workshop on Aphid, Whitefly and Scale Insect Identification at Institut Pertanian Bogor, Java, Indonesia, as part of an Overseas Visiting Scholarship of Technical Assistance (4 weeks), funded by the World Bank Center Grant Program, through the Indonesian Ministry of Education University Research for Graduate Education programme, strengthening postgraduate student training. I also spent 3 weeks training and advising two MSc students, working on aphid and mealybug taxonomy respectively. Dec. 1996, Co-organized and delivered a 4 day training course on Whiteflies and their Natural Enemies at CSIRO, Canberra, Australia for Australian entomologists, funded by Commonwealth Scientific and Industrial Research Organisation. I taught the whitefly preparations and identification component (1.5 days). Nov. 1996, Co-organized and delivered a 4 day training course on Whiteflies, Aphids, Psyllids and their Natural Enemies at the University of Los Banos, Luzon, Philippines, funded by Philippines Council of Agriculture, Forestry and Natural Resources Research and Development (PCARRD). I taught the pest insect preparation and identification component (1.5 days). Oct. 1996, Taught microscope slide preparation and Homoptera (2 days) on the Fourth East African Training Course on Identification of Insects of Importance in Agriculture and Forestry - a 3.5 week course at the National Museums of Kenya, Nairobi, Kenya. (ODA/ British Council funding). Nov./Dec. 1995, Organization and delivery of the FAO Maldives Pest Insect and Natural Enemy Workshop theory over 4 days in Male', and 8 days practical field training in the field on the island of Thoddoo. This was carried out as an entomological training consultant on FAO Maldives Strengthening of Biological Pest Control TCP/MDV/2355. Aug. 1994, Organized, and taught Hemiptera (4 days), on the Tanzanian In-country Training Course on Insects of Agricultural Importance - a 3.5 week course at Sokoine University, Morogoro, Tanzania. (ODA/ British Council funding). Aug. 1993 Co-organized and taught on Kenya Course on Identification of Aphid Pests - a 5.5 week course at the Plant Breeding Centre, Njoro, Kenya. (Kenya Breweries/ ODA/ British Council funding). Nov. 1992, Co-organized and taught on the Third East African Training Course on Identification of Insects of Importance in Agriculture and Forestry - a 3.5 week course at the National Museums of Kenya, Nairobi, Kenya. (ODA/ British Council funding). September-October 2009, Training of Mahr Ghulam Abbas (Ph.D. student, University of Faisalabad, Pakistan) on mealybug preparation and identification, morphology and identification of scale insect families, preparation of identification keys, and preparation of scientific papers, at CDFA Plant Pest Diagnostic Center, Sacramento, California, USA. December 2009 – January 2010, Training of Dr Soad Abdel-Razak (Entomology Researcher, Plant Protection Research Institute, Agricultural Research Center, Alexandria, Egypt) on scale insect and mealybug preparation and identification, morphology and identification of scale insect families and genera, and preparation of identification keys, at CDFA Plant Pest Diagnostic Center, Sacramento, California, USA. August 1999, Training of 3 overseas students on scale insect collection, preservation, preparation and identification, CABI Bioscience UK Centre, Egham, UK, 17 – 20 August; mostly funded by Commonwealth Fund for Technical Co-operation (CFTC). Nov. 1997-June 1998, Supervision of a BioNET INTERNATIONAL Fellow (Mr Lennox Chandler from Barbados) at The Natural History Museum in London, working on scale insects, whiteflies and aphids of economic importance to the Caribbean; 5 months. Developed, staged and graded the Museum's IdQ examination in Mealybug Identification for Mr Chandler. May 1997, Organization and delivery of training (1 week) for 3 Maldives Agricultural Officers on the identification of pest Sternorrhyncha at IIE in London, funded by FAO. Aug.-Sept. 1996, Organization and delivery of individual training of Dr Salvatore Nucifora from Sicily in the preparation and identification of Diaspididae for two weeks, Italian funding. June 1995, Taught the whitefly component on the IIE course on Whiteflies and their Natural Enemies (1 out of 4 days) at IIE headquarters in London, UK. Course run twice in succession due to high demand; funded by an assortment of Commonwealth and overseas organizations. Class size: up to 15. Aug.-Sept. 1994, Organization and delivery of individual training of Mr David Mifsud (Entomologist, Maltese Departmant of Agriculture) on identification of pest Sternorrhyncha, on an FAO Studentship (3 weeks). 1992-1995, Taught Homoptera: Sternorrhyncha for one day each year, on the University of Wales, Cardiff Diploma Course in Taxonomic Entomology. Class size: up to 9. Involved in teaching Homoptera: Sternorrhyncha (covered in 1-3 days) on 13 International Institute of Entomology courses on Insects and Mites of Economic Importance, delivered in London, UK since 1981. The whole course duration was 7.5 weeks and attracted financial support from numerous donors including Commonwealth Fund for Technical Cooperation and ODA / The British Council. Class size: up to 27. 1982-1986, Private tutor teaching classes of up to 7 students Biology & Zoology `A' level (for University Entrance), and Biology `O' level, at Mander Portman Woodward Ltd, London (a high quality sixth-form college teaching 2-year syllabi in 3- and 9-month courses). 1979-1980, Biology `A' and `O' level tutor at Mander Portman Woodward Ltd, London (as above), teaching classes of up to 7 students Biology `A' level (for University Entrance), and Biology and Human Biology `O' level, at Mander Portman Woodward Ltd, London (details above). Nov. 1995, Entomological consultant on FAO Biological Control of Coconut Pests in Nevis; 10 days. Surveyed main foliar pests of coconut and their natural enemies. March 1994, Entomological Consultant on FAO Malta Plant Quarantine Strengthening Programme. Conducted crop pest survey and associated identifications, made recommendations on quarantine schedules; 6 days. Nov. 1993, Entomological consultant on FAO Maldives Strengthening of Biological Pest Control. Conducted crop pest survey; 18 days. 2007, Presented a paper and chaired a session at the XI International Symposium on Scale Insect Studies, Oeiras, Portugal, 24-77 September 2007 (see conference publications, 2009). 2001, Presented a paper and co-presented a poster at the IX International Symposium of Scale Insect Studies (ISSIS-IX), at Faculty of Agriculture, University of Padua, Italy (see publications, 2002). 1999, Facilitator, and presented a paper, BioNET INTERNATIONAL Big W2 conference, Cardiff, UK (see publications, 2000). 1998, Recording Committee member and co-presented a paper, Seventh International Symposium of Scale Insect Studies (ISSIS-VII), Wye, UK (see publications, 2001). 1997, Presented an invited plenary paper: The role of taxonomy in biological control, at the Indonesian Entomological Society's Vth Congress in Bandung, Java, Indonesia (see publications, 1999). 1992, Presented a poster, “Pine woolly aphid in Africa; where did it come from?” at the Populations and Patterns in Biology conference, University of East Anglia, Norwich, UK (see publications, 1996). 1990, Session Co-moderator, Sixth International Symposium of Scale Insect Studies (ISSIS-VI), Krakow, Poland. 1990, Presented a paper at the Kenya Forestry Research Institute workshop on Exotic aphid pests of conifers in Africa, Muguga, Kenya (see publications, 1999). June 1997, Plenary paper: The role of taxonomy in biological control. Indonesian Entomological Society's Vth Congress in Bandung, Java, Indonesia (see publications, 1999). 2004-present Presentations about insects to grade school classes in California schools, public and private; and at State Scientists’ Day at the Capitol, Sacromento, in May each year.